It’s a great time for aspiring entrepreneurs in the beauty biz to take the leap into salon ownership. Women make up 6 percent of workers in the beauty salon industry, but just 68 percent of salon clientele. The highest-paid occupations in beauty salons, by average wage, are frontline supervisors of non-retail sales workers; financial managers; and chief executives (owners) with an average annual salary of $83,508. The average full-time salon employee earns just $27,957 annually. The average American woman spends about $240 per month (nearly $3,000 per year) on makeup costs. Women spend around $300,000 on facial beauty products in their lifetime. Some striking facts and trends are highlighted by the statistics listed above. If you’re a beautician or cosmetologist with aspirations of one day owning your own trendy beauty salon, the net result is that now is probably a great time to take that leap and buy a salon. Prior to the late 19th century, beauty salons didn’t exist. Most American women took care of their own hair, and makeup — if used at all — was mostly reserved for special occasions. There was really no value in taking special care of your nails when hard manual labor was a constant reality for most women. But, during the decades leading up to the turn of the 20th century, women began entering the workforce in record numbers, especially as workers in the newly created factories spawned by the Industrial Revolution. Just as still occurs today, there was significant pay inequality pretty much across the board, and no laws to mitigate the problem. However, many women soon discovered that they possessed skills in the areas of hair care, makeup application, and beauty treatments, which at the time, no man could offer. The ever-changing fashion trends combined with the entrepreneurial spirit of some enterprising ladies created a brand new industry where none had existed before. The salon industry exploded over the next 100 years or so — from Martha Matilda Harper’s invention of the reclining shampoo chair in 1888, to the rapid growth of beauty parlors during the roaring ’20s, to the bouffant hairstyles that gained favor in the 1950s and 1960s. Fast-forward to 2018 and salons continue to experience slow, but steady, growth. Today, the industry encompasses everything from hair and makeup services, to specialized care for all types of hair, skin, and nails. So, what should prospective entrepreneurs that are interested in buying a beauty salon in the near future consider? Understanding the changes in the salon industry will help them to answer this question. As a result, the traditional environment in many salons — where professionals rent their booth from their employer and pay a commission to the employer for the space they use — is falling out of favor. Concentrate on excellent customer service - While a subpar meal may ruin a customer’s lunch hour, a subpar hair cut or dye job can ruin their year. Pick a niche and stick with it - There are too many salons trying to be all things to everyone. If you can become known as the place to go for balayage highlights or eyebrow threading, you’re more likely to attract and retain clientele. 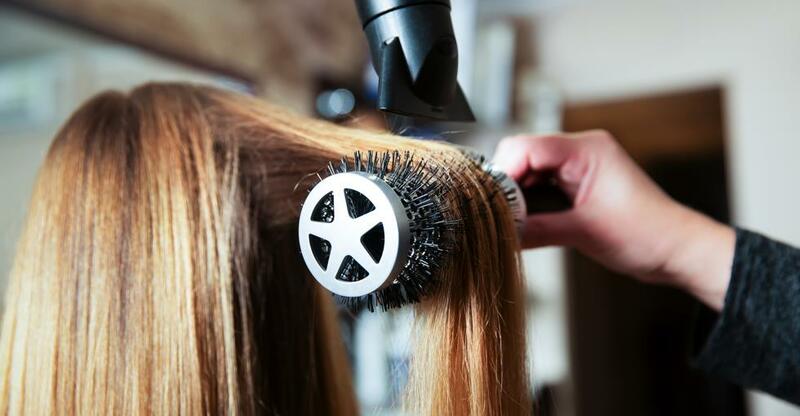 Hire/rent to the best, and treat them great - At the end of the day, a customer’s loyalty is to their favorite stylist, beautician, or cosmetologist — not necessarily their favorite salon. If you can’t hold onto the top talent, they’re going to find somewhere else to operate and they’re going to bring their customers with them. Unlike many businesses, where chasing trends can be impractical or even irresponsible, beauty salons must always be in the know about current trends and capable of keeping up with appropriate service offerings. 82 percent of women now believe that social media drives these trends. It would be professional suicide for any salon owner to neglect an active, visual Facebook, Instagram, or Pinterest account. These (and many other) platforms can serve as inspiration, community, and marketing, all wrapped up in one low-cost, high-return package. And, finally, like every other small business, owning and operating a successful salon requires patience, determination, resilience, and a lot of hard work. Don’t underestimate the importance of these factors or let naive enthusiasm overshadow what’s really necessary. If you’re considering striking out on your own by opening a beauty salon, there couldn’t be a better time to take that leap. Keep in mind the current industry trends as well as the lessons learned from the industry’s interesting past. And, when you’re ready to get started, check out our list of beauty salons for sale in the United States.